Kansas forward Dedric Lawson (1) tries to roll around Auburn guard Will Macoy (22) during the first half on Saturday, March 23, 2019 at Vivint Smart Homes Arena in Salt Lake City, Utah. Salt Lake City — On a Kansas basketball team devoid of both senior stars and heavy March experience, the Jayhawks would only go as far in this NCAA Tournament as a junior transfer could carry them. Although Dedric Lawson’s first shining moment two days earlier made it seem as if the Jayhawks just may have some sort of run in them this postseason, there would be no Danny and The Miracles reboot 31 years after the original. No chance to bust some brackets in Kansas City, Mo. Not even a trip to Sprint Center for the Sweet 16. Auburn made sure of that Saturday night at Vivint Smart Home Arena. Swift with their feet, strong with their frames and the way they bodied Lawson in the paint and confident in their game plan to stifle the Jayhawks’ top scorer early, the Tigers’ bigs knocked Lawson and the Jayhawks out of the tournament before they even had a chance to make any lasting March memories. The complete meltdown in the first half of what ended up being an 89-75, season-ending loss in the second round featured too many KU mistakes on both ends of the floor to count. The beating doubled as a reminder of how unlikely it would be for Lawson and four freshman starters — all five of them playing their first season at Kansas — to morph into something special overnight. The post-Lagerald Vick version of the Jayhawks had their signs of promise over the past month-and-a-half, but also negatives that couldn’t be ignored. Lawson didn’t disregard those entering the tournament as much as he looked past them. He had to. This team needed him to do so. So when the season ended too soon, it was more than the characteristically upbeat young forward from Memphis, Tenn., could take. 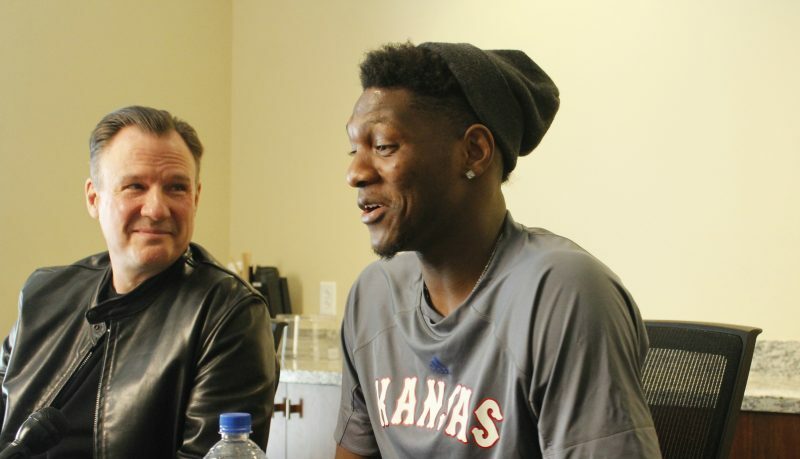 After powering through a first round of questions in KU’s locker room, then more on the stage for the team’s postgame press conference, Lawson returned to his seat for more inquiries. That’s when the weight of the loss and the end of the season — possibly his college career — walloped him. Lawson pulled his blue T-shirt over his face, and wept. The brown towel near his chair covered his countenance next, when the tears wouldn’t stop. In order for KU to beat good teams when Lawson wasn’t dominating inside, the Jayhawks would need not just point guard Devon Dotson, but multiple freshmen taking their games to new heights. But Lawson doesn’t think that way. According to KU’s leading scorer and rebounder, this was on him, and no one else. “I just feel like, being the leader, guys follow your role. You come up short, it’s your fault. It’s your fault,” he insisted. Inexperience can kill a college basketball team in the NCAA Tournament. And that characteristic ultimately led to KU’s demise while facing an Auburn team filled with rotation players who just a year ago went through the same heartache the Jayhawks did Saturday night, losing to Clemson by 31 in the tournament’s second round. Lawson’s strengths always have been his basketball IQ, footwork and knack for pulling in rebounds. He’s not known for his athleticism, so it was going to make some type of otherworldly offensive explosion from Lawson or a number of his younger teammates stepping up for the Jayhawks to survive the Tigers’ roster full of athletes. Coming off a 24-point, 11-board showing as KU cruised in the first round against Northeastern, Lawson couldn’t take over exactly the same way against the Tigers, even though he finished with 25 points and 10 rebounds, giving him 22 double-doubles for the season. 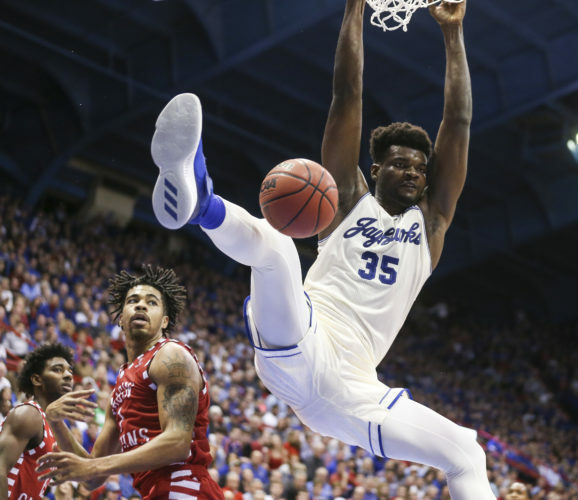 KU’s 6-foot-9, 235-pound go-to forward opened the night matching up with 6-foot-8, 230-pound Chuma Okeke, known for his versatility and defensive instincts. Seconds into the drubbing (and this was one, despite the final margin), Okeke blew by his one-time youth basketball teammate to get to the rim. Okeke missed the lay-in, but Auburn signaled immediately to KU that it was about to play at a speed 10 times faster than Northeastern could ever dream of pulling off. On Lawson’s first touch inside, the Tigers pounced on him with a double team and KU’s best passer turned the ball over. Though the most talented Jayhawk on the floor would bring the ball up the court versus full-court man pressure when needed and grab an occasional rebound in the first half, his shots weren’t falling, when KU had to have something miraculous from him, because its guards proved either too naive to expect Jared Harper and Bryce Brown to go right at them or too overwhelmed to find within them what it would take to counter the game’s stars once they began taking over. It was the kind of night where the mere act of Lawson battling for a defensive rebound and drawing a foul with KU down 34-17 in the first half drew Bill Self and his assistants off their seats to applaud. 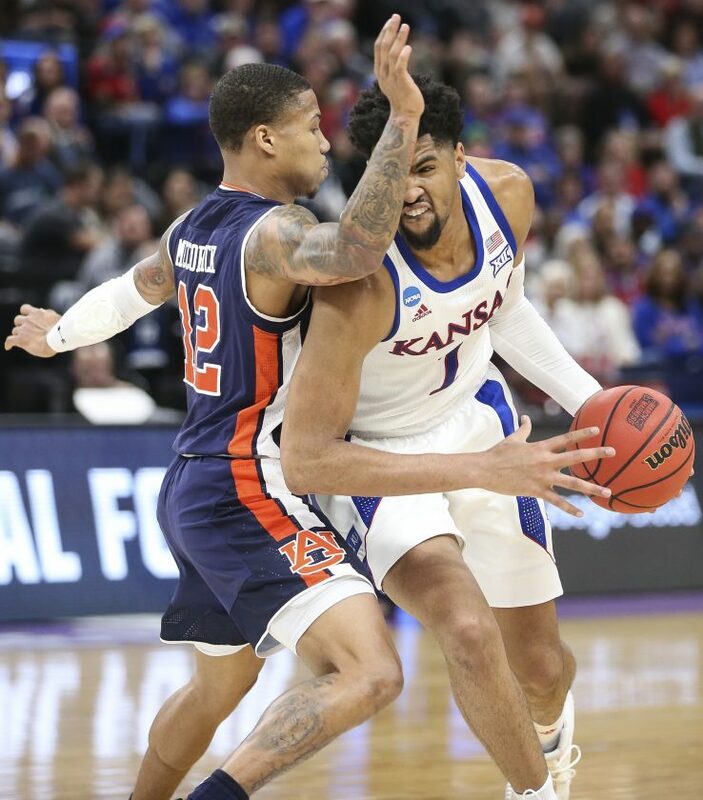 Whether being checked by Okeke or Austin Wiley inside, it didn’t matter for Lawson early on, as he struggled on one end, and Auburn’s steady rain of 3-pointers drowned the Jayhawks on the other. An 0-for-5 start for Lawson coincided with KU’s slow tournament death. Lawson’s first basket didn’t come until there was 2:26 to go until halftime. His offensive rebound and putback made it 46-25. True, Lawson and his teammates would play much better and harder in the game’s final 20 minutes. 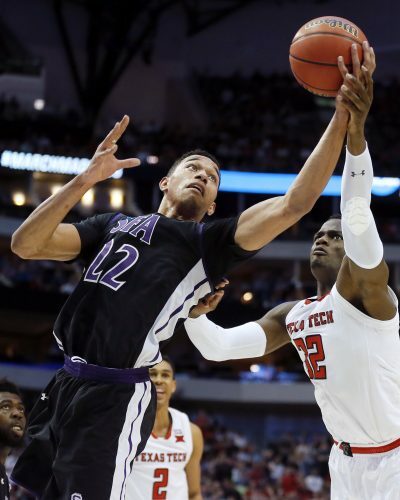 But their season came to an unofficial end in the first half, as Auburn overwhelmed the Jayhawks the way Big 12 co-champion Texas Tech did in Lubbock, Texas, in late February. Right or wrong, Lawson felt responsible for the performance. 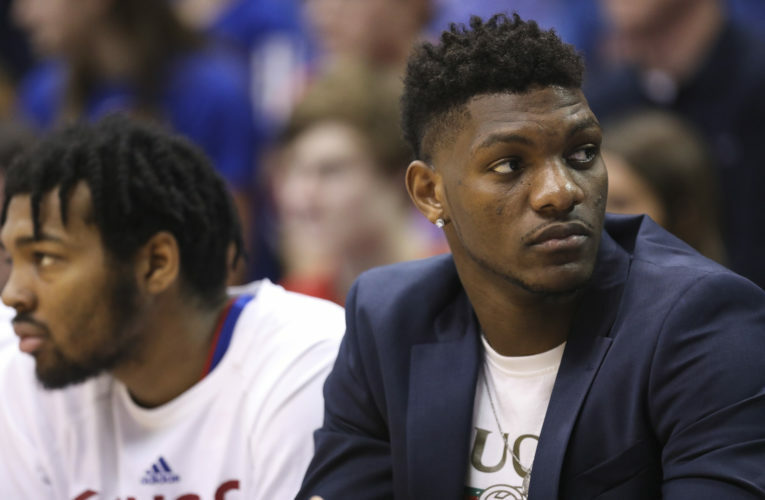 Without Vick and injured Udoka Azubuike and ineligible Silvio De Sousa, there was only so much this KU roster could do against top-tier teams. The Jayhawks had little to no margin for error when facing opponents such as Auburn. 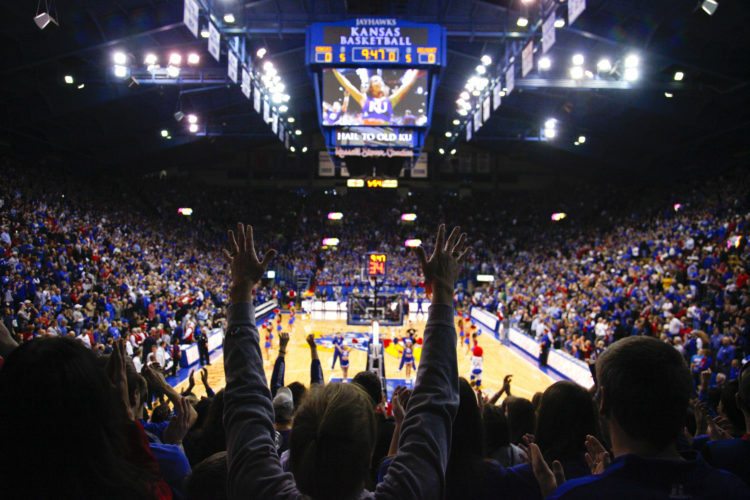 And unless Lawson spent his first March Madness experience on fire night after night, KU’s ceiling figured to be lower than this stored program and its hall of fame coach had to endure in quite some time. Self would say afterward one reason he hated to see the season end the way it did was because the second-round loss “may be” the last one Lawson plays for Kansas. The Jayhawks’ flaws had everything to do with their lack of depth and being unacquainted with the rigors of a high-level, high-pressure NCAA Tournament stage. If Lawson and the core of this team return for another crack at March in 2020, they’ll know what to expect. But Self’s words make you wonder if that’s what Lawson’s basketball future holds. 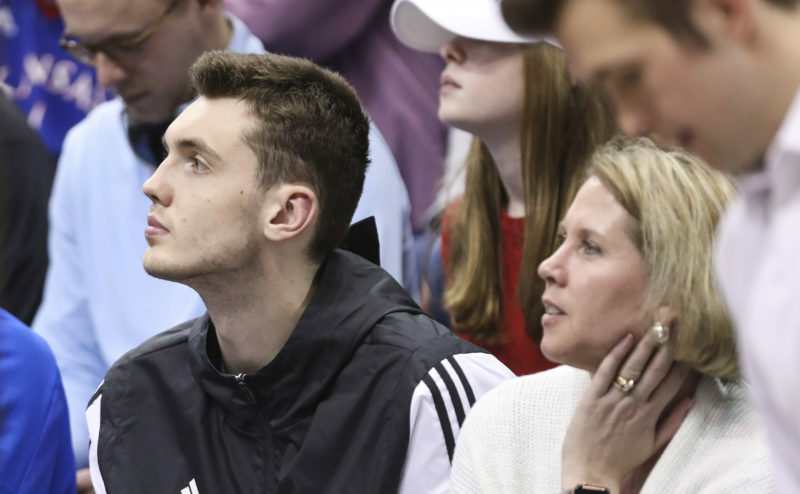 For now, the Jayhawks will have to watch from not too far away as Auburn and three other teams battle down I-70 in Sprint Center for a berth in the Final Four. It would’ve taken some magic and a legendary run from Lawson to get there. And we knew from watching this team the past several months that such a storyline wasn’t based in reality. Good for Lawson for believing he could help make it happen.